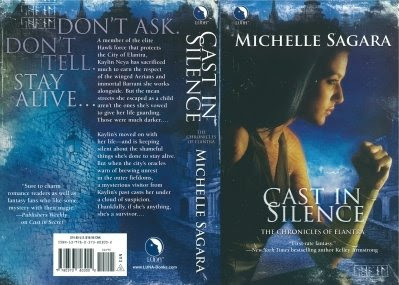 Cast in Silence the fifth book in Michelle Sagara's wonderful Cast series is due for release July 28, 2009. Michelle revealed the cover today on her blog and also announced that Luna has signed her for three more Cast books. The title of the sixth book will be Cast in Chaos. For more information on her plans for the series visit her blog here. I reviewed the fourth book in the series Cast in Fury here. 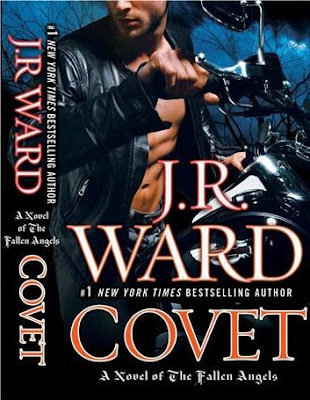 Thanks to KB at Babbling About Books via Brie at Musing of a Bibliophile who came across the cover for Covet, the first book in J.R. Ward's new paranormal romance series about fallen angels who ride Harleys. Due for release on September 29, 2009. As for the new Ward series - I can't wait. Anything by the Warden is worth reading!!! Ooh, nice cover for Cast. I've got to catch up with the series! In fact, Cast in Fury is going to be my TBR challenge book this month, so hopefully I'll be ready. Glad to know there will be more Cast books coming. I tried finding more info on Covet on JRW's site, but nothing there. I'm intrigued. Michelle glad the Sagara series is on your wishlist. 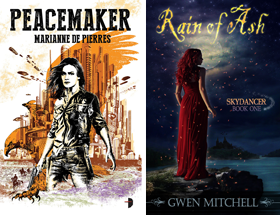 She has great characters and wonderful world-building and it does include vampires which isn't that common in regular fantasy. Another PNR series from Ward should be just what the doctor ordered. Renee let me know what you think about Cast in Fury. I am hoping Ward will put something in her newsletter on the new series. She doesn't seem to blog that much.